Sega has unveiled a first look at the MadWorld studio's next take on a violent brawler, and it's definitely going to be bloody. Platinum Games' Max Anarchy, recently revealed in the pages of Famitsu, is getting a name change for its release in other regions. Sega is publishing the game as Anarchy Reigns outside of Japan. The change of name isn't big news in and of itself, so thankfully along with the change Sega released a small set of screenshots showing off what Anarchy Reigns will look like. It features Jack from Platinum's MadWorld for a reason. One of the screens shows Jack tearing into an enemy with his chainsaw as lots of gooey blood pours out. 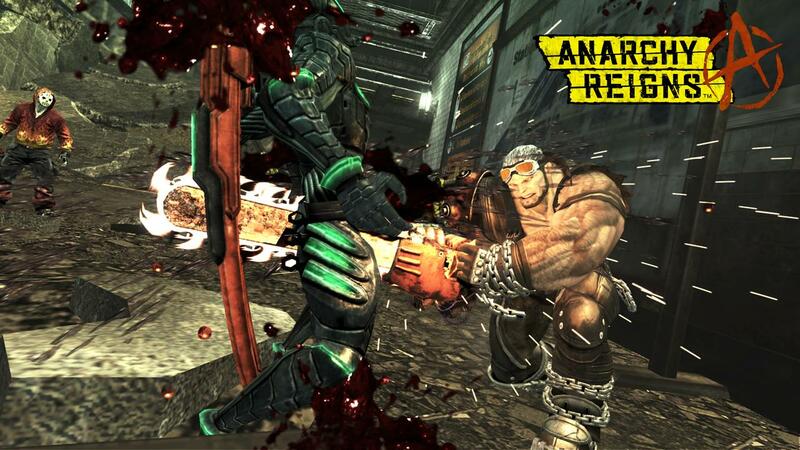 Notably, Jack is full of color in Anarchy Reigns, whereas in MadWorld he was only shown in black-and-white. The other two screens show another playable character that evidently hasn't been talked about yet. She's dressed in a futuristic suit of white body armor and appears to control some sort of giant crystal weapon. It's a big change from Jack, so Anarchy Reigns will probably have a varied cast of playable characters. The screens feature enemies that range from humans in hockey masks wielding flaming clubs to huge mechs, also showing a variety in the foes players will face. 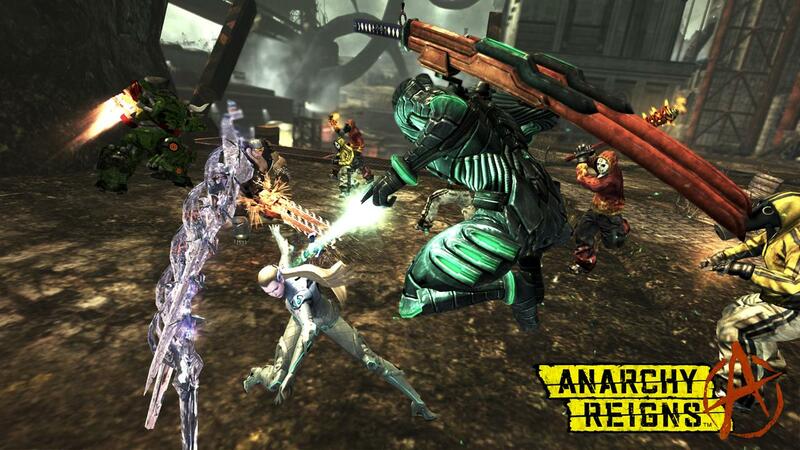 Anarchy Reigns is billed as a unique multiplayer brawler. Sega says it will "challenge the boundaries of the conventional brawler genre" through online multiplayer modes like Tag Team and Battle Royale, but Famitsu revealed it will have a single-player story mode as well. It basically looks like MadWorld with online multiplayer, which could be quite enjoyable. Before its fall 2011 release on the Xbox 360 and PlayStation 3, Sega will likely give us a better idea of how everything ties together. Update: Now there's a trailer too. Very MadWorld.